In pop music, "sampling" has become almost as commonplace as the rock n' roll backbeat itself. The practice of basing a piece of music on a short snippet of previously-recorded music or sound is everywhere these days in pop ... but does it ever occur in modern classical music? Steve Seel features a number of pieces that incorporate recorded sound-samples into their score as part of the musical texture, such as Mason Bates' work called "The B Sides" and Paula Mathusen's "On the Attraction for Felicitous Amplitude." 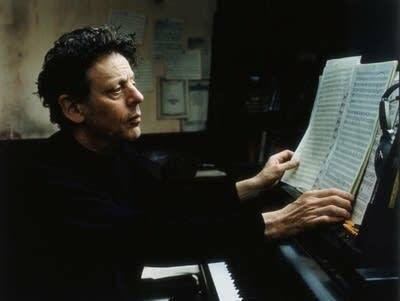 Also, modern rock continues its influence on the music of Philip Glass, in his "Heroes" Symphony, inspired by the music of David Bowie and Brian Eno.